Books are a fun way to learn about number, practice counting and understand number in practical contexts.The following are some of my favourites for introducing and reinforcing number skills. Julia Donaldson’s wonderful rhyming text and Nick Sharrat’s comical illustrations are a perfect combination. 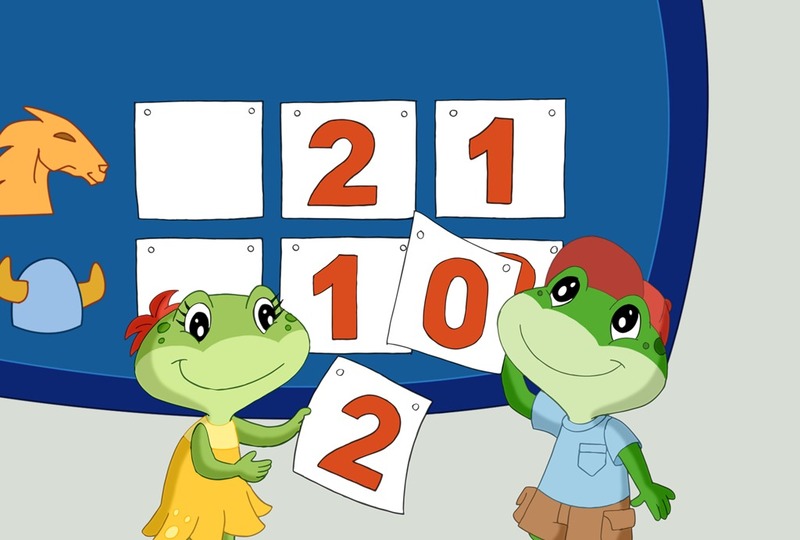 Brightly colored numerals appear in the middle of the brief rhyming sentences, along with the corresponding number of animals to count. 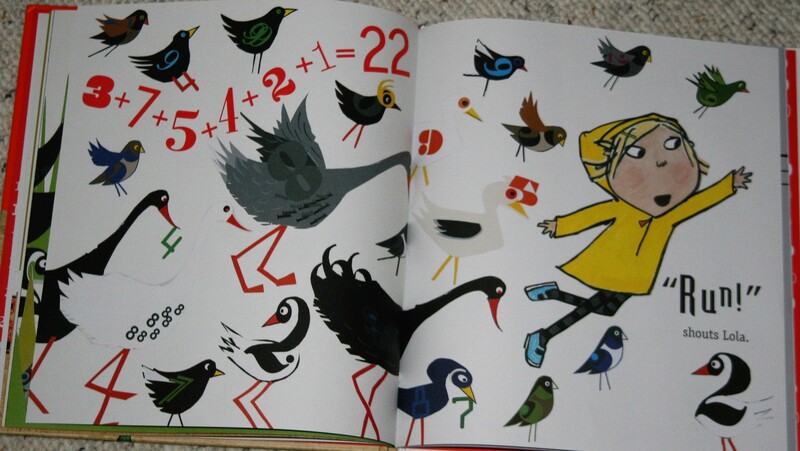 The engaging illustrations make this my favourite counting book. At each different house that he visits Father Christmas drinks and eats all the goodies left out for him. At number one there is hot chocolate and at number three, three cups of tea. By the time he reaches ten, he is desperate for a wee! This comical rhyming book will appeal to all kids who love toilet humour. This is a sweet interactive board book featuring familiar Sesame Street characters. Ernie starts with 5 rubber duckies but along the way the rubber duckies stop off to play with other Sesame Street friends. Each page features a feel and trace number and 5 ducks you can move and count as each one disappears. Perfect for introducing numbers 1-5 to young children. This rhyming bedtime countdown features 10 mischievous baby owls and their antics to avoid bedtime. As a sturdy board book with peek through pages, it is perfect for little fingers. The individual character of every owl is illustrated perfectly and children will enjoy looking out for other characters in the tree, like the book reading caterpillar, busy bees and the mouse storing berries. 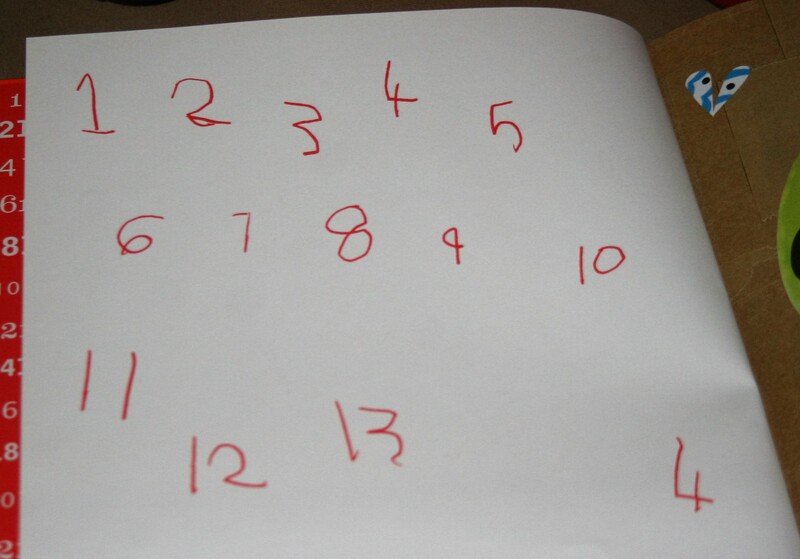 The back of the book has a clear counting chart to practice number recognition and counting. This sweet Eric Carle story features 10 ducks that fall from a boat and what happens to each of them along the way. The hardback copy also features a squeaker to help children count along and interact with the text. This is my favourite book about numbers. It features the adorable Charlie and Lola and is perfect for any child who is interested in numbers. 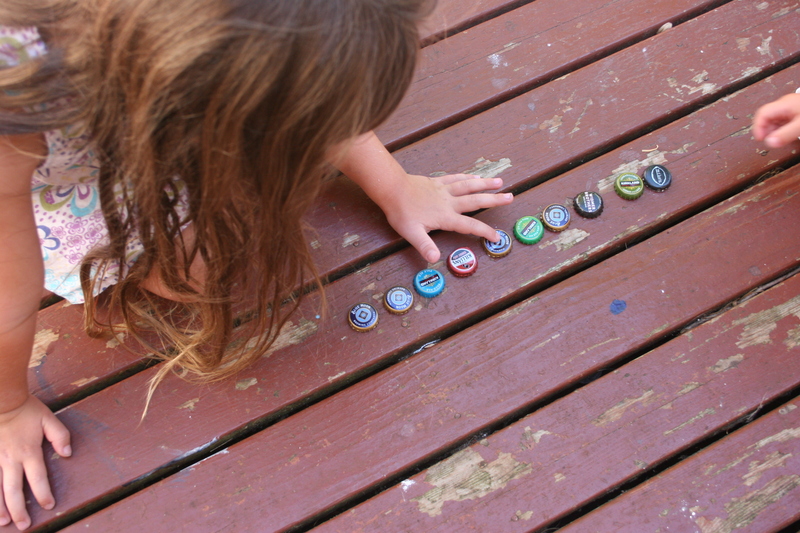 It shows number in everyday contexts, explores counting , time, addition, subtraction, division and multiplication. It even investigates children’s fascinations with numbers beyond one thousand. A wonderful book, with numbers interwoven amongst the illustrations in Lauren Child’s own unique way. The familiar story of the Princess and the Pea is retold to emphasise numbers within the story and to encourage children to understand number problems. The questions in the back of the book are designed to look back at the text and illustrations, counting and working out simple mathematical sums. Don’t turn the page yet! Let me start with the biggest number; so 7 plus 3 is 10, plus 2, plus 1 is 13, plus 4 is 17, plus 5 is……. 22. Now turn the page -Yes! I was right, 22. This wasn’t a maths homework exercise but a bedtime story for my 5 and 7-year-old. Regular readers will know that I am a huge Lauren Child fan. Her version of Goldilocks and the 3 Bears features in my top 5 books for the Under 5’s, my eldest daughter read and re-read the Clarice Bean series and our visit to Lauren Child’s exhibition was like a step into Wonderland. 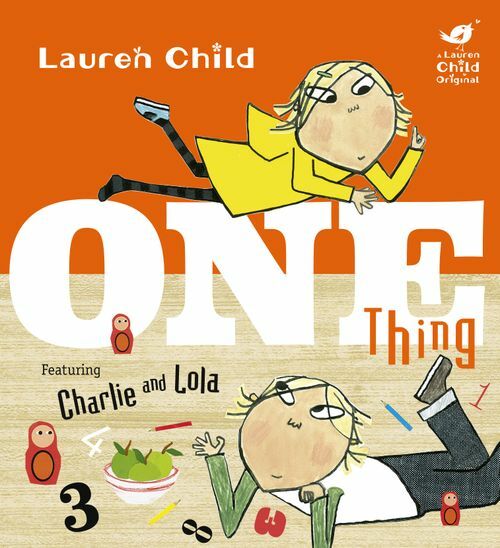 As I was browsing books for the younger ones for Christmas, I discovered a brand new Charlie and Lola book called ‘One Thing’. With great excitement, I quickly contacted friends from the UK who were coming to visit and asked them to bring a copy. I didn’t know what it was about but as the Charlie and Lola books are amongst our favourites, I was looking forward to finding out. As an additional surprise, a new Ruby Redfort book popped into my recommended items. It may seem a little sad, but I react in the same way to a new Lauren Child book as I would to news of a concert from my favourite artist. My eldest daughter loves Ruby Redfort and I usually pre-order them but somehow I had missed this one. Her face was a picture when she unwrapped it on Christmas day. She says this is her 2nd favourite in the series, beaten marginally by the first book. On finishing the book, she immediately wrote a letter to Lauren Child, explaining how much she enjoyed it, asking her questions and telling her about her own life. Through Lauren Child’s writing, children sense a genuine interest in what they think, feel and do which I believe, compelled my daughter to correspond. We love the television series but the Charlie and Lola books from the series don’t have the same sparkle for me, so I am always brimming with excitement when a new one from Lauren Child is released. ‘One Thing’ did not disappoint my giant expectations. In usual Lauren Child fashion, ‘One Thing’ captures perfectly the workings of a young child’s mind. The story begins when ‘mum’ promises Charlie and Lola ‘one thing’ when they go shopping. The book takes you on a number journey, tapping into the minds of children like my own, who count everything and work out number problems in their head. Lola talks about numbers and Charlie gets frustrated, adding up the time it takes Lola to get anywhere. All of the number references are displayed as sums, puzzles or hidden numbers in the illustrations. It is a wonderful introduction to maths for young children but ‘One Thing’ is more than an educational number book. The book recognises the natural way that children see numbers everywhere and is full of discoveries for an inquisitive mind. “I like finding all the numbers” said my 5-year-old “and I like Charlie and Lola”. Why did someone write on it?… Oh, I think it’s meant to be like that. I think it is meant to be Lola’s writing. “Oh look the toothpaste is a number 3”. This was their favourite page. 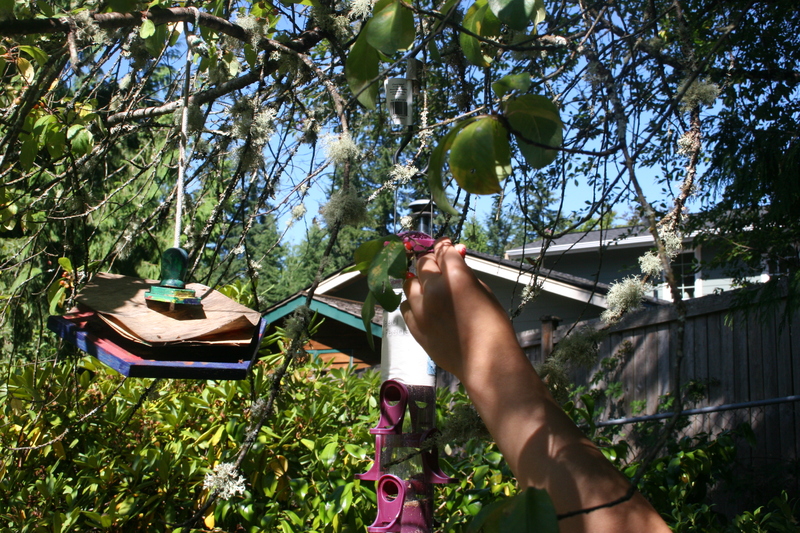 They returned to it multiple times, trying to find the numbers hidden on the birds. We couldn’t find a number 3, perhaps you will have better luck. Thank you Lauren Child for another book to treasure. One Thing is available in hardback in the UK and for pre-order in the US. Disclaimer: This is a personal recommendation. I completely, absolutely did not get paid or get free stuff for writing this post. I’ve got an idea Mummy. How about we get the plates we use for barbecues, collect lots of things from around the garden like leaves and sticks and stuff and make people. Great idea. You could use things from the loose parts station too. I know, we could use bottle tops for eyes. There are 4 of us so we need 8. We need 8. We have 10 let’s throw 2 of them away. Now that’s right. Oh no! We are not allowed to pick leaves from the trees and it isn’t autumn. How will we get leaves? Look there are some nice little yellow leaves on the floor. Where did they come from? That looks like a cherry tree, there are red fruit on it but they are very small. I’ll pick one and see if there is a stone inside. Yes there is, they are cherries. We could use them for a nose. My 2 year-old started making a face but soon became more interested in exploring what the glue did. She then brought her watering can and watered her face. Starting to make a face. I’m sprinkling grass on mine. I’m putting water on mine, it makes it all soggy. Just as with the clay my 2-year-old has very different interests and plays at a different level to her sisters but that never prohibits her joining in. 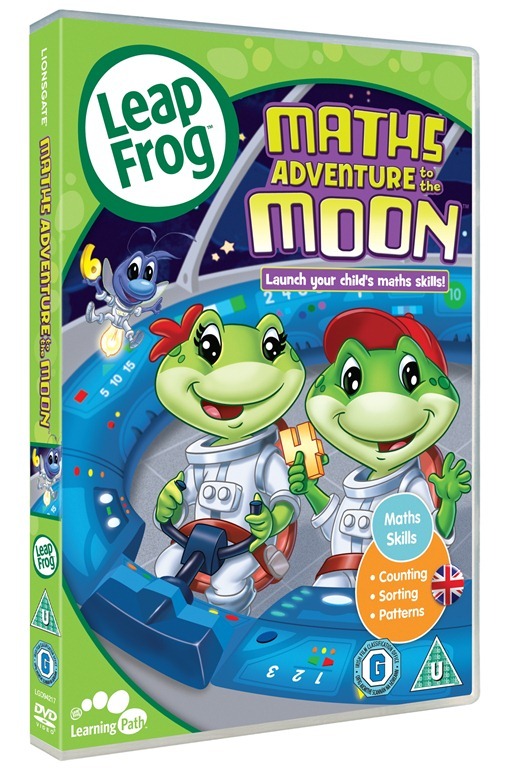 Leapfrog Maths Adventure to the Moon–A Review and the chance to win one of 3 copies. I wouldn’t recommend that you teach a child mathematical concepts via a DVD, however for all of us the electronic babysitter is at times a necessary evil . If the kids are going to watch DVDs without me I’d like to know that it’s well made and entertaining and if it’s educational too that’s an added bonus. Our kids watch DVDs in the car on long journeys, I think my husband may throw the Mr Men out of the window if he hears the music one more time, so a new addition to the collection is always welcome. My 2 year old and 7 year old watched the DVD together, I didn’t expect the 7 year old to enjoy a DVD about counting but actually it has lots of levels and would appeal to a mixture of ages. She managed to watch it till the end and I even caught her joining in with the counting in 2’s, 5’s and 10’s. The story revolves around Tad and Lily ,a girl and a boy frog who are finding maths difficult and go on a journey to space where they see how maths can be applied in all kinds of contexts. It explores simple concepts like counting to 10, but also counting backwards, counting in 2’s 5’s and 10’s , following repeated patterns, sorting by shape, size and colour and simple addition. Many of these are introduced using a catchy song helping to engage the younger children. My 2 year old has asked to watch it again after watching a few times so I think it will be popular with her. I would say it is ideally suited to children aged between 2 and 6. It lasts around 40 minutes and there are additional features including 5 songs and a sorting game. It is a good quality, entertaining DVD that I think children would enjoy for a number of years before growing out of it. Don’t use it as a quick fix to teach your child maths, but if you want to use it to back up playful, active mathematical learning then I think it is a good choice. This never before seen on television title is released on May 9th with an RRP. of £9.99. I have 3 copies of this DVD to give away. To be in with a chance simply subscribe to my blog or post a comment on any of my posts before 9th May . Winners will be chosen at random on that date. Only available to UK residents. Please supply a valid email address so that you can be contacted if you have won.